One of the early and important actions of the Royal Government was the Township Act of 1730; additional townships were authorized in 1761. The first act authorized nine townships containing 20,000 acres each, and agents were sent to Europe to recruit families as settlers. The families were offered inducements such as free transportation to South Carolina, free provisions for one year, and free land. The townships neither created nor kept records; their functions were solely geographical. Townships, like parishes, were used for some tax districts and appeared as locators in grants and conveyances. One of the originals, Congaree Township, was renamed in 1735 to Saxe-Gotha Township and first settled by German Lutherans in that year. It was located on the south side of the Congaree River comprising the southeastern third of what is present-day Lexington County, South Carolina. The name was chosen to honor the spouse of a member of the British Royal Family, who was born in an area of Germany known as Saxe Gotha. It was approximately thirty miles north and west of the Amelia Township, which had been founded in 1732. 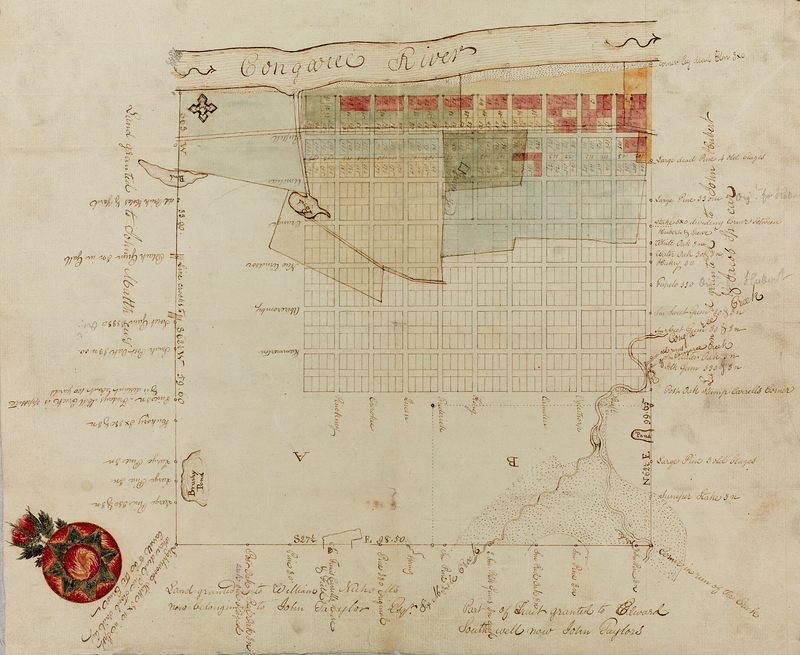 In 1757, the Saxe-Gotha Township had perhaps 66 families, and some settlers have moved across the Congaree River to obtain better lands on the north bank in what is present-day Richland County. For a "township" that had been created with 20,000 acres, Saxe-Gotha Township never flourished. Most of those who opted for this location simply wanted large tracts of land and to be quite separated from their neighbors. During the Royal Period, Saxe-Gotha Township never established any formal towns or permanent settlements where people congregated other than a church or two. In 1768/9, the Royal Colony of South Carolina passed the District Act and eliminated all references to the old counties and townships with respect to governmental organization. The parishes remained intact, and even two new Parishes were established in 1768 - St. David's Parish and St. Matthew's Parish. What had been Saxe-Gotha Township was now part of the much larger Orangeburgh District and within the newly-established St. Matthew's Parish - both created in 1768, but the districts were not truly functional until around 1772, right before the American Revolution. Immediately after the American Revolution, the newly-independent State of South Carolina redefined its internal districts in 1785 and recreated a new version of "counties" quite unlike the mostly-ambiguous and unsurveyed counties that existed prior to 1768. In 1791, South Carolina once again redefined its districts to now include the specific newly-created counties. In 1800, South Carolina decided to rename all existing counties as districts, and the larger term for district was now obsolete - no more aggregation of counties into a large district. During all of this, Saxe-Gotha Township ceased to exist. Since no significant permanent towns were ever established in the 20,000 acre tract, the name Saxe-Gotha disappeared, not even recognized in the current state of South Carolina. To get an idea of where the Saxe-Gotha Township had been during the Royal Period, find a map of South Carolina and look for Lexington County - the heart of the Saxe-Gotha Township was located where the present-day town of Congaree is situated.